Hope has been one of West Indies' most impressive players in recent times. Garry Sobers, Gordon Greenidge, Desmond Haynes, Malcolm Marshall – these are a few legendary players who had helped establish West Indian dominance in cricket. However, apart from being in the same Windies uniform, there was one more thing that connected these giants. All of them belonged to Barbados, which is an island country in the Caribbean region of North America and has been a cricketing powerhouse for many decades. In the current West Indies squad, wicket-keeper batsman Shai Hope is being seen as the latest entry to this illustrious list. However, it is a bit early to say if he will appear on the pages of history books but his consistency in the past two years has shown glimpses of a player that the Windies were looking for since a while. In the past two years, he has been one of the top performers for the Windies and has contributed to their success in this period. The West Indies Cricket Board also acknowledged his caliber and bestowed upon him the Men’s Cricketer of the year, Test Cricketer of the Year, and ODI Cricketer of the Year honors at the Cricket West Indies (CWI) awards 2018. As many newcomers would expect, Hope’s career did not get off to a flying start. His fantastic first-class record got him an early call for the national side at the age of 21. But, he could not justify his potential in the initial phase of his career and managed only 171 runs in his first six test matches. Of the 11 innings that he played in those six matches, he was averaging 15.54 with 36 being his highest score. Such dismal performances compelled selectors to drop him from the national side and broke his dreams. A disgruntled Hope went back to domestic cricket and started playing for his state team. Since the departure of some of the greats like Sir Vivian Richards, Clive Lloyd, and Brian Lara, West Indies cricket has struggled to recreate its previous glories. Except for a record 418-run chase in a Test match against Australia in 2003, they have not done anything substantial in the past two decades to prove their mettle. However, one of the unexpected wins that somehow uplifted West Indies cricket came in 2017 when they won a test match at Headingley. The win was unique as it came after seventeen years, with the last one coming at Birmingham in 2000. The anchor of that famous victory was Shai Hope, who scored hundreds in both innings. He also became the first batsman in history to achieve a feat (hundred in both innings) that no other batsman had made in 533 first-class matches played at Headingley until that time. It was a superb comeback from the youngster who was looking to make a mark in international cricket, and he has not looked back since then. Hope has been consistently scoring runs for the team and has stood up for them in every critical situation. Some of his knocks show utter grit and determination such as the 39 runs he scored off 115 balls against Sri Lanka in Gros Islet in 2017 and 62 of 144 against England at Lord’s in 2017. Hope has been a stalwart for West Indies in ODI cricket since his debut against Sri Lanka in the Tri-nation series in November 2016. He scored his first ODI hundred in his second match against Zimbabwe in the same round. He averages 47.94 from 43 games and now has four centuries and seven half-centuries. 2018 was a golden year for him as he scored 843 runs in 17 games with an average of 49.58. Moreover, in sub-continent conditions, he has stood apart from his teammates and was one of the stars in the India Tour. His fighting knock of 123 in Visakhapatnam led to a great tie that many fans will remember for long. He also made 95 runs in the next match in Pune to give the Windies their lone win of the tour. In the recently concluded Bangladesh ODI series, he was the top run-getter with 297 runs that included two consecutive centuries. What is next for him? The current West Indian team is still not at its best and is going through a revamping phase. 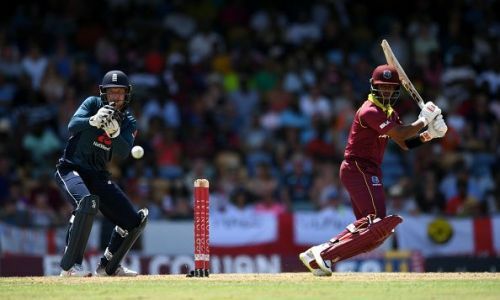 The upcoming World Cup can be a golden chance for them to show that they still have the aura of yesteryear and players like Shai Hope need to lead from the front and bring back the golden days of Windies Cricket.